Home Theater Installation - Northern Colorado's Best Home Theater Systems | Harmonic Series, Inc. If a home theater is something that you have dreamed about for years, Harmonic Series is here to help turn that dream into a reality. We have years of experience installing high-end home audio and video equipment, as well as the latest in home automation technology, which means that when you hire us, your home theater will be easy to use and free from problems. Contact us today to learn about how we can transform an existing space into a comfortable room with the best audio-visual equipment available. One of the most important steps you need to take in order to begin the process of creating your home theater is choosing the equipment that you want. While there are many different brands to choose from, at Harmonic Series in Fort Collins, we prefer to use the absolute best, including televisions from Sony and SÉURA, audio options from Sonos and Origin, and automation from Savant, Lutron, Future Automation, and more. By starting with the best, there will never be any doubt that there is no better choice out there. Knowing that you are using the highest-quality components allows you to enjoy using your home theater, not worrying about whether or not you should have upgraded something. Our process is simple yet thorough. We begin by meeting with you, taking detailed measurements of the room that will become your home theater, and then discussing exactly what is important for you to have to make your theater feel perfect for you. There is no such thing as a “one-size-fits-all” home theater because every home and every person is different. Instead of trying to tweak a system, we start from the ground up, every time. If you spend your free time watching classic movies, you will need a different setup than the football fan who wants to feel like they’re almost on the field for every Broncos game. Arguably the most important part of any home theater, your screen — whether you choose a television set or a high-definition projector — is an important first choice to make when you are building a home theater. At Harmonic Series, we will show you what projectors and 4K HD TVs are right for your home based on a number of factors, including the size of the room and what the TV will be used to watch. In addition to those factors, we will also take other environmental factors into consideration when we make our recommendations, including how much light is present in the room and whether or not the room will be used exclusively as a home theater or if it will be a multipurpose room. While conventional wisdom says that a projector is an easier way of allowing a room to serve more than one purpose, with our expertise and the help of technology, even the largest 4K televisions can now be raised or lowered from a ceiling or floor, or hidden behind panels when not in use. If you have had your eyes on a TV but you don’t want it to monopolize a room, that isn’t a problem anymore. Many times, what makes a movie, TV show, or game stay with you for so long is the combination of images and sound. Together, sound and image can create an experience that becomes something deeper and truer. If you want your home theater to give you the same feeling that the best movie theaters do, you need to have the best audio equipment to match your high-definition screen. At Harmonic Series, we know that audio is just as important as video. We want you to feel and hear the impact of an explosion in the newest action movie. We want the hair on the back of your neck to stand up when you are watching a concert film from your favorite musician. We want you to have a transcendent experience when you are using your home theater, and the right speakers and audio setup is key to making that happen. While the idea of a new home theater system is usually one of joy, a lot of people don’t look forward to having to juggle a handful of controllers in order to be able to watch a game or a movie. At Harmonic Series, we will use the latest technology to make controlling your new home theater easy and intuitive. One of the many benefits of trusting us to design and build your new system is that we understand how to tie the screen, audio system, and lighting together so that all three parts of your theater can be controlled from a single device. If you’re ready to have your home theater installed by expert technicians, contact us at Harmonic Series. We have proudly provided the best high-end audio-visual system installations from Cheyenne to North Denver. 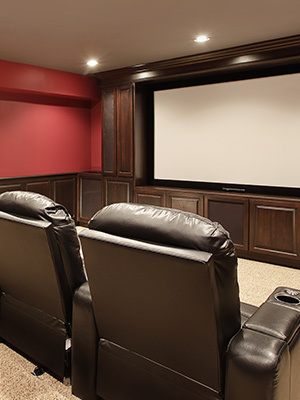 We would love to discuss your ideas and help you create the perfect home theater for you and your family and friends. When you think about your home theater, the screen and audio are probably the most obvious choices to make, but without the right lighting, your theater won’t feel or look right. At Harmonic Series, we understand that the lighting in your theater room is a vital part of your experience. We can help design smart lighting that will deepen your enjoyment while you’re in your home theater and integrate it into the rest of the setup. Contact us today to learn more about our services or to set up a time when we can discuss plans for your very own home theater. One of the most common mistakes that we see in home theaters is a total absence of lights that stay on while a movie is playing. While it’s easy to see why people think that the darkest possible room is a good idea, especially if you have ever dealt with glare on your screen, there is a “right” amount of light that will make your home theater easier and more comfortable. Before we start talking about the “right” amount of lights in your home theater, a quick lesson about the types of lighting may help make sense of the concept.e. Ambient lighting is the main source of light (natural or artificial) in any given room. In your dining room, the ambient light is usually provided by a chandelier or another type of overhead fixture. Ambient lighting is important in any room, including a home theater, because it allows you to move around the room safely. Ambient lighting is also important for setting a mood. Task lighting covers any kind of lighting that helps you do something in a given room. In the kitchen, it is common to find task lighting above counters and sinks, as those are areas where you will prepare and cook food, or clean up after a meal. In a home office, task lighting can include lamps (table or floor) as well as specialty lights for tasks that require a certain kind of light. Accent lights call attention to certain elements of a room. These elements can be structural, like shining light onto special moulding, or elements that were added later, like paintings or framed photographs. While accent lighting is generally used to call attention to something, these fixtures can also be an important element of the design of your room. The next time you go to a movie theater, take a look around you before the movie has started, pay attention to which lights start to dim as the film is started, and then, after your eyes have adjusted to the screen, see what lights are still on. The most obvious lights will probably be the ones that help guide you to and from the doors. In addition to the lights that are built along the pathways, most theaters have other lights strategically placed and dimmed. These lights perform several important functions. First, they help you navigate the theater if you need to get up for a refill on popcorn and soda. Second, and this is a surprise to most people, those lights also help the movie look better and they keep you from becoming disoriented while you are watching a movie. If the only source of light is coming from the screen, your eyes will only have the screen light to see everything (screen, the area around you), which means that the image on the screen will look more and more bright. With the right ambient light, your eyes adjust to the balance between the room lights and the screen, allowing you to see the images on the screen the way they were meant to be seen. The best light for your home theater will be a perfect blend of all three kinds of lighting. Ambient lighting will set the tone for the room and allow you to see the screen the way it is supposed to be seen, while task lighting will show off your art or movie poster collection. If you want a chandelier, sconces, or recessed lighting, we can find the right options to match your tastes. If you want to read or work while your spouse or kids watch something in the home theater, there are many great task lighting options that will make this possible. At Harmonic Series, we will perfectly balance the lights that you need in order to provide the optimal viewing experience. All of our designs will depend on the size of your home theater and the layout of the room, so that you will always have the perfect setup for your home. Contact us today to learn more about home theater lighting, automation, and audio-visual systems. If you were lucky enough to grow up in a time or place where theaters ran the gamut from one-of-a-kind classic movie houses to the most modern buildings filled with the newest projectors and amenities, you probably treasure just how unique each theater was. Even if you grew up during the time when theater chains were all that you knew, each theater probably still had something about it that made it different from the place across town or the theaters you went to in another city. That uniqueness is one of the best parts about going to the theater because it helped establish an atmosphere that was special, that was different than the way it felt to watch television. As televisions have gotten larger and the resolution better, many people have argued that it is like we all have a theater in our house. We respectfully disagree. What makes a theater special is the way that it makes you feel. With your home theater, designed and installed by the experts at Harmonic, you have the opportunity to create a space that is special and unique, a space that gives you a reason to put your phone down and get lost in a movie from the past or the latest blockbuster. Read on to learn about how you can make your new theater your own. If you come from the east coast, you probably know just how visually stunning many of the old theaters there are. Whether those theaters used to be spaces where plays were performed or they were modeled after old playhouses, the classic styling of these buildings — heavy ornamentation, sweeping arches, gold accents — are synonymous with the Golden Age of Hollywood. With just a little work, you can have one of these classic movie houses in your own home! Many companies make special moulding and ceiling tiles that replicate those old looks, and there are many places to find classically styled sconces and overhead fixtures. If you are a big sci-fi or western fan, you might want to consider using those genres as a starting point for your design idea. Hang movie posters in rustic or futuristic frames, choose light fixtures that would be at home on the USS Enterprise or a smoky, dirt-floored saloon. Whatever your favorite genre, there are plenty of ways to build a theme around that style. Your home theater furniture is another excellent way to express yourself. There are many options out there if you want to recreate a classic theater or if you want to have the latest automatic recliners or couches for your theater. No matter what you choose, having custom upholstery applied to your furniture will ensure that you are creating a truly unique experience. Themes and furniture are great, but none of that matters if you aren’t happy to be in your home theater every time you walk into it. A home theater should be a room where all of the negativity and stresses of everyday life disappear. Decorate the room in a way that keeps the real world out. Theaters are an excellent way to feel like a kid again, so think back to the things that made you happy when you were younger that still make you smile. Contact Harmonic Series in Fort Collins for the most-skilled home theater installation in Northern Colorado and Southern Wyoming. With years of experience, an unmatched attention to detail, and a love for all things audio-visual, there is no better company out there to make your home theater real. 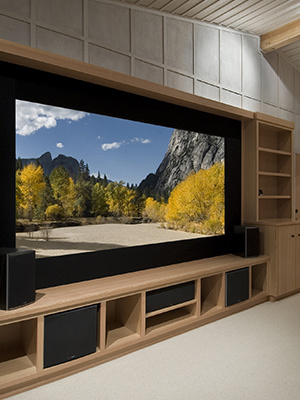 Our team will help you design and install your new home theater using the best equipment and an attention to detail that no one else can match. 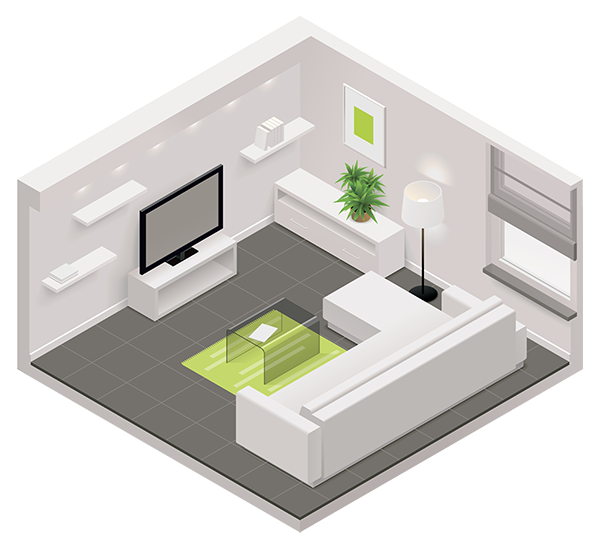 To learn more or to set up a demo of what we can do for your home, contact us today.